I thought I had the best banana recipe,, but you proved me wrong.. I love your recipe so much.. thank you!!! Recipe says walnuts. Loaf below looks like it is topped with pecans. Penny- either walnuts or pecans work fine. I’m literally about to make 2 loaves of this and have all my ingredients lined up but suddenly realized…which size of loaf pan?! Ohhhh, please disregard…I should have real ALL the comments! I’ll use a nine-inch. Love! Just what I was looking for! Do you grease the loaf pan or not. I just says put in pan.? 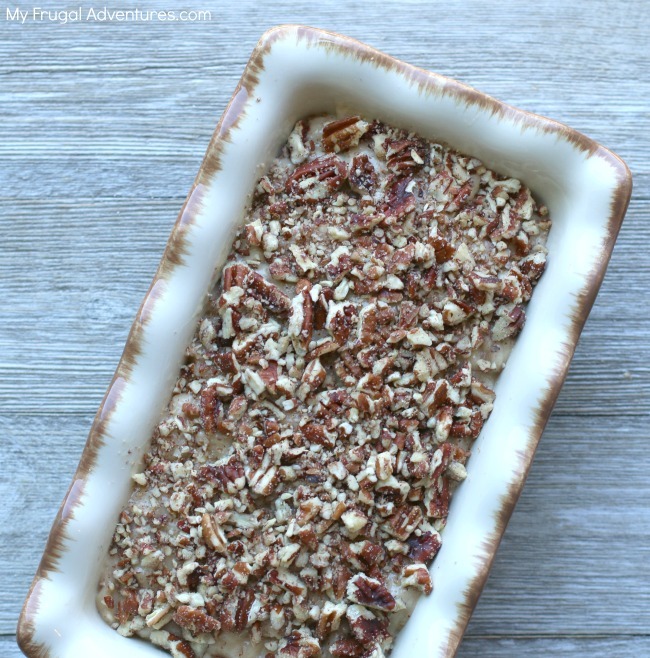 This is the best banana bread I have had in years! It is so moist and flavorful. The texture is just right too! My husband and I gobbled up the entire loaf in just a couple days. Can’t wait for my bananas to ripen! I’m ready for another loaf! Why would I use buttermilk instead of reg. milk? Just wondering..
Buttermilk keeps baked goods moist because it breaks down gluten, it adds a little tangyiness (so more complex flavor) and it creates a lighter texture. 🙂 HTH! Do you think I could sub out there bananas for pumpkin and make pumpkin bread the same way? Hello! I’ve made this before and love it! Can you double the recipe and bake two loaves at once? If so, what would I need to differently? Thank you! I think that would be fine 🙂 Depending on the size of your loaf pans you might get 3 loaves. Just tried the Copycat Starbuck Banana Bread recipe. I made this for my husband as I usually don’t like banana bread. I absolutely love this. I had to put it out of sight so I would quit eating it. I made the banana nut bread- copy cat Starbruck’s. It was beautiful and very good. Happy to hear that Vickie! So happy to hear that Lori! 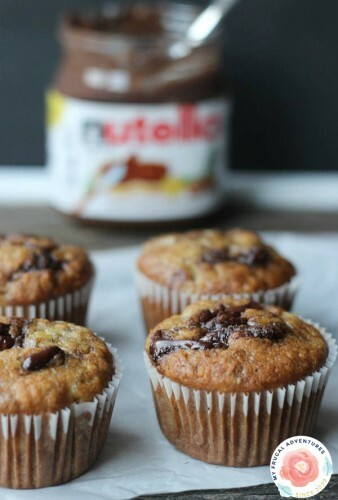 If converting from a loaf to muffins what would the bake time be? I baked the banana bread, this morning. It is delicious! In the past I’ve used other recipes and the bread alsways seems wet and sticky. I love how the top of the bread is crunchy. What is the best way to store the bread? 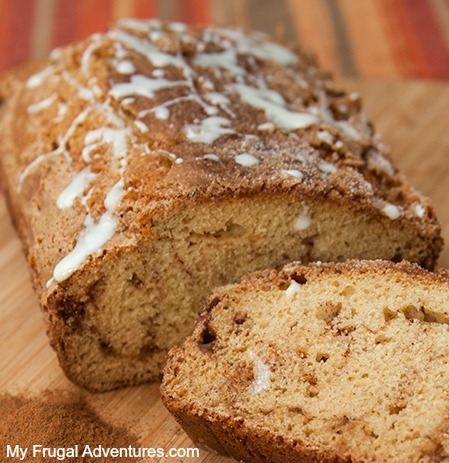 This is the best banana bread I have ever tasted. Thanks so much June! So happy you liked it! Delicious! I made grab and conundrums and they turned out perfectly! Could almond milk be used instead of regular milk? Hello! What can i do to keep it fresh while in transit to Korea? 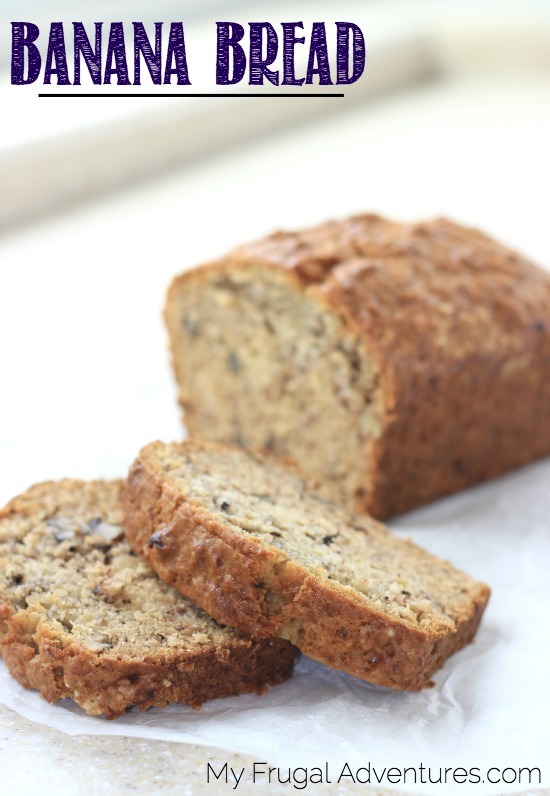 Absolutely the best banana bread I have ever made and I’ve been making it for many years, Thanks for sharing the recipe. 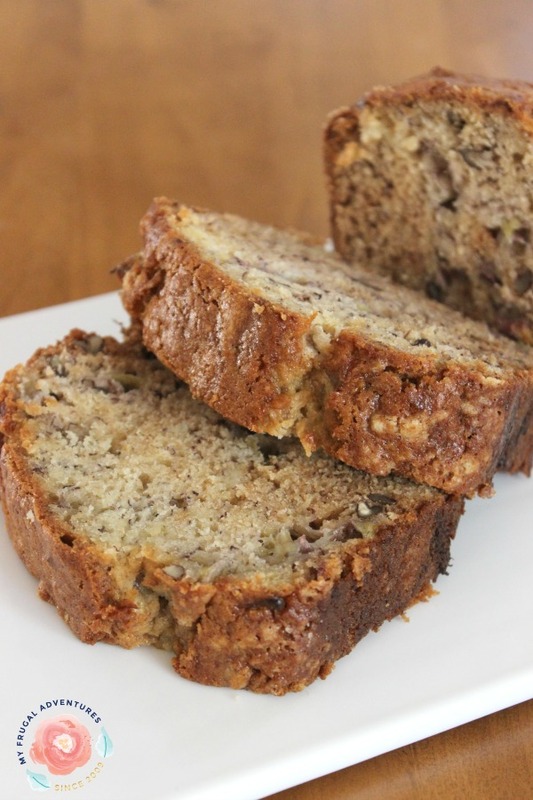 This is the best banana bread that I have ever made and I’ve been maknig it for years, thanks for sharing the recipe. This is so delicious!! I used coconut oil and vanilla almond milk and added some cinnamon, cloves and ginger. I too thought I had a great banana bread recipe but I now have a new go to. Oh glad to hear the almond milk was a success! 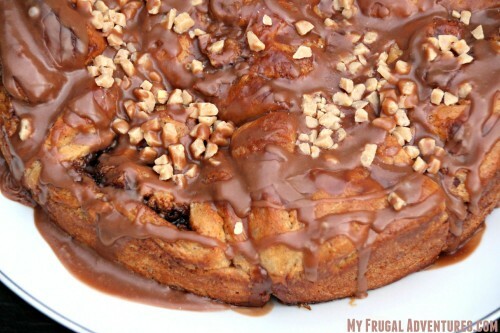 Doesn’t even come close to Starbuck Bananna Bread. It wasn’t even moist, sorry to say I’ve had way better. Very disapointed. Sorry to hear you were disappointed Sheri. This is the best! I’m about to make it again but don’t have milk left :(…could I sub with water and it be ok? What size loaf pan is recommended? Looks like water is fine but they recommend adding extra butter too. Thank you ! This bread came out perfect, and after so many years of using the one I previously did, will now become my go-to Banana Bread ! I substituted some brown sugar, and added chocolate chips, along with a crumb topping. The kids and grandkids love it ! Oh that sounds wonderful. I love brown sugar and bananas!